When I was a child, I really wanted a pedal car but alas..it wasn't to be. Never mind, it would've only gone to my head. 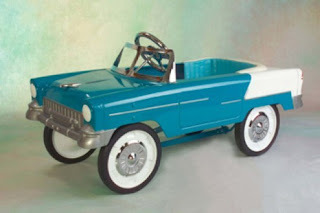 Pedal cars have been around for almost as long as the real thing and in those early days they were handcrafted from metal or wood.